Based in Hangzhou, China, Dahua Technology is one of the world’s leading manufacturers of security and video surveillance equipment. 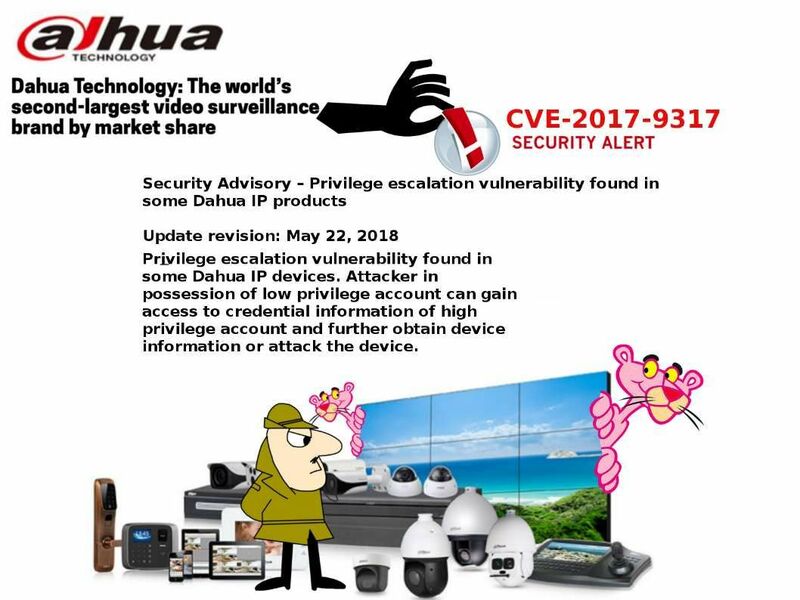 According to its unaudited results for 2017, it had a turnover of $2.89bn representing a year-on-year increase of 41%, and a gross profit of $404m, growing by 31%.Based on above details, you can imagine that how the popularity of the Dahua IP devices market coverage. 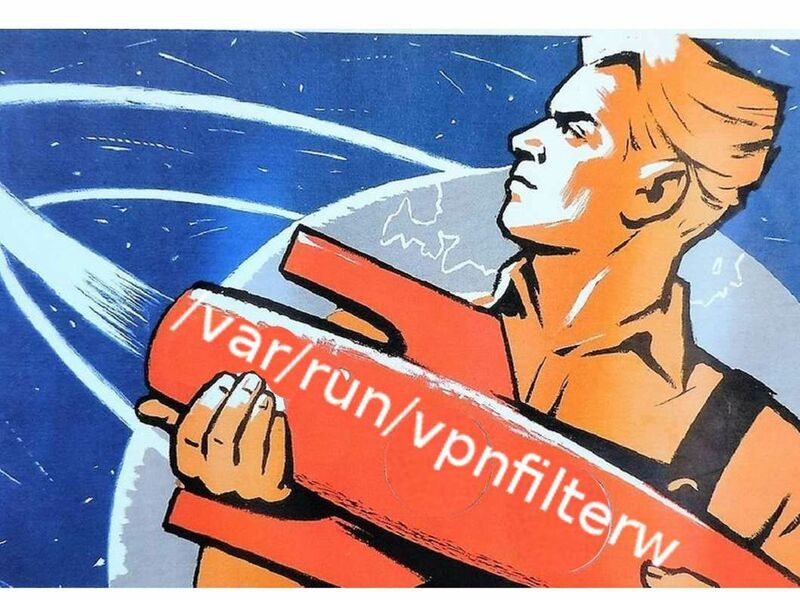 We notice that VPN filter malware infect estimate total of 500,000 units of device (router and Network access storage) jeopardizing the world. Whereby, the US court order enforce the justice and thus quarantine the specified C&C servers. It won this battle. But is there any hiccups of this matter? Should you have interest of this matter, please refer below url for reference. 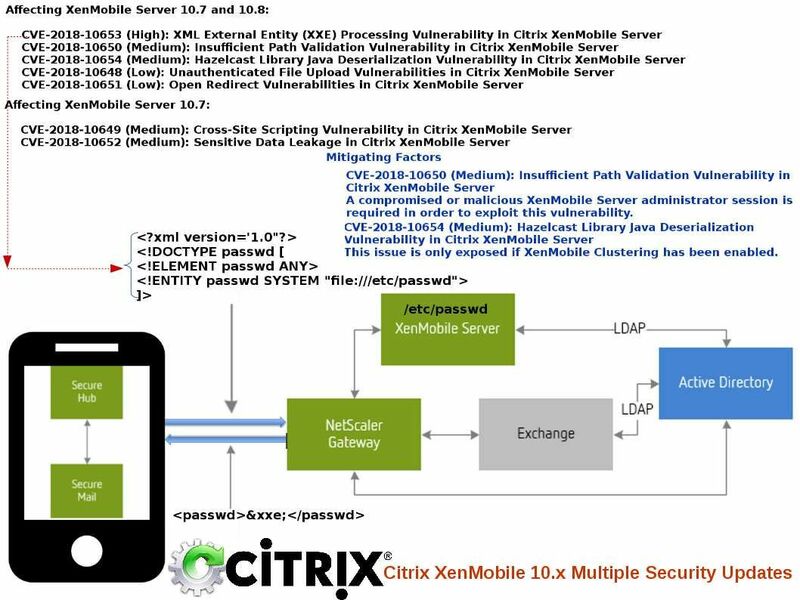 Affecting XenMobile Server 10.7: ………..
Should you have interest of this topic, refer below url for reference. 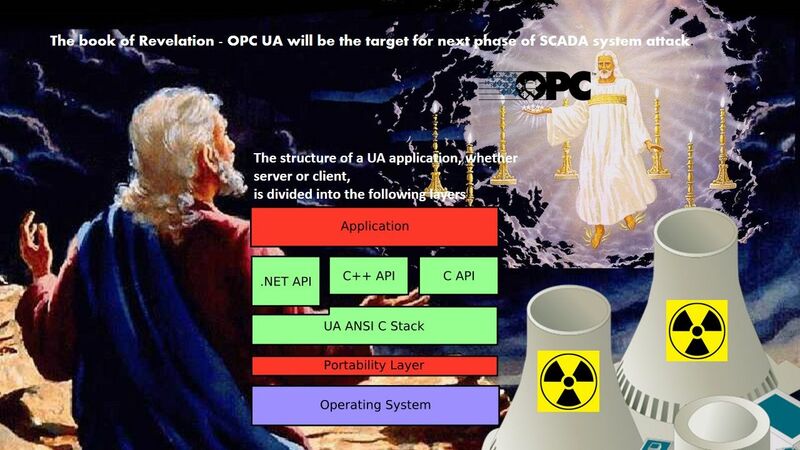 The book of Revelation – OPC UA will be the target for next phase of SCADA system attack. A fascinating, unusual story which creates an eerie atmosphere. The security report issued by Kaspersky on 10th May 2018 driven my interest to do this study. So the report equivalent to enlightenment my conception. A tremendous potential cyber attack found by Cisco. Thereby it announced to public last week. They reveal this unknown story to the world. And therefore the major security focus shift to a new malware. As a result, we know the technical specifications of malware so called “VPNFilter”. However, similar cyber attacks was encountered in past. A similarity of those cyber attacks are focusing the public facilities especially nuclear power facility , gas and water supply system as the major target. We bring your attentions today for OPC UA (Object Linking and Embedding for Process Control Unified Automation) to OPC Unified Architecture (OPC UA) system vulnerabilities. Those vulnerabilities are not running in high profile. But it requires technical people for attention. OPC is an industry standard, it defines methods for exchanging realtime automation data between PC-based clients using Microsoft operating systems. The organization that manages this standard is the OPC Foundation. 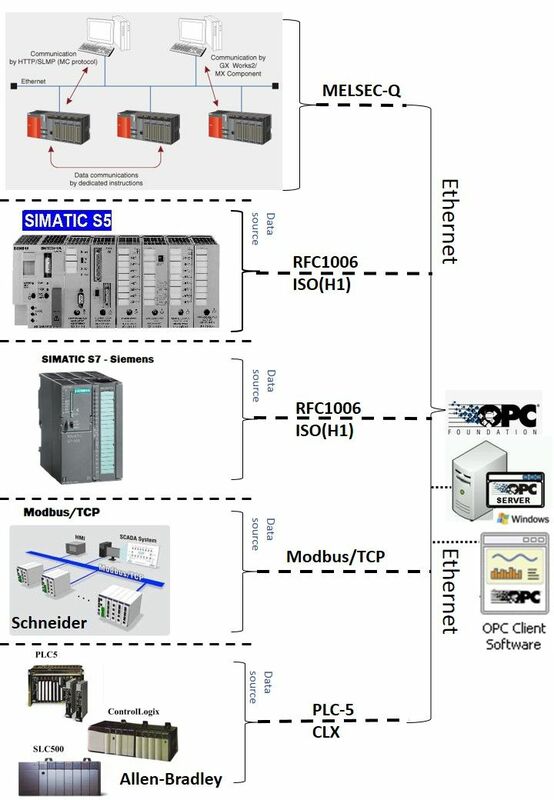 OPC Unified Architecture (OPC UA) is a machine to machine communication protocol for industrial automation developed by the OPC Foundation. Quote: OPC UA was designed to support data transport for two data types: the traditional binary format (used in previous versions of the standard) and SOAP/XML. Today, data transfer in the SOAP/XML format is considered obsolete in the IT world and is almost never used in modern products and services. The prospects of it being widely used in industrial automation systems are obscure, so we decided to focus our research on the binary format. …………After developing a basic set of mutations (bitflip, byteflip, arithmetic mutations, inserting a magic number, resetting the data sequence, using a long data sequence), we managed to identify the first vulnerability in uastack.dll. 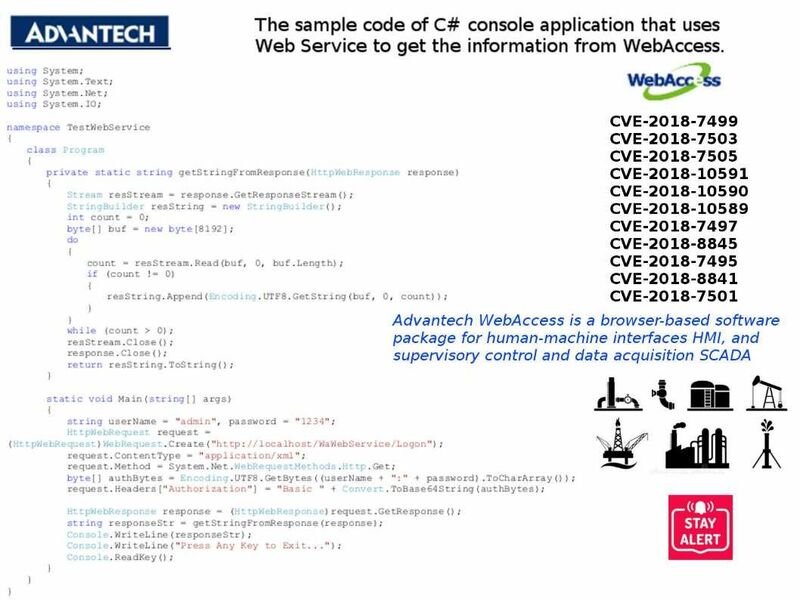 It was a heap corruption vulnerability, successful exploitation of which could enable an attacker to perform remote code execution (RCE), in this case, with NT AUTHORITY/SYSTEM privileges. Hints – See whether below assembly language source code (call OpcUa-memory_Alloc@4) can provides any idea to you in this regard. 2. In the process of analyzing the application, found that it used the XmlDocument function, which was vulnerable to XXE attacks for .NET versions 4.5 and earlier. 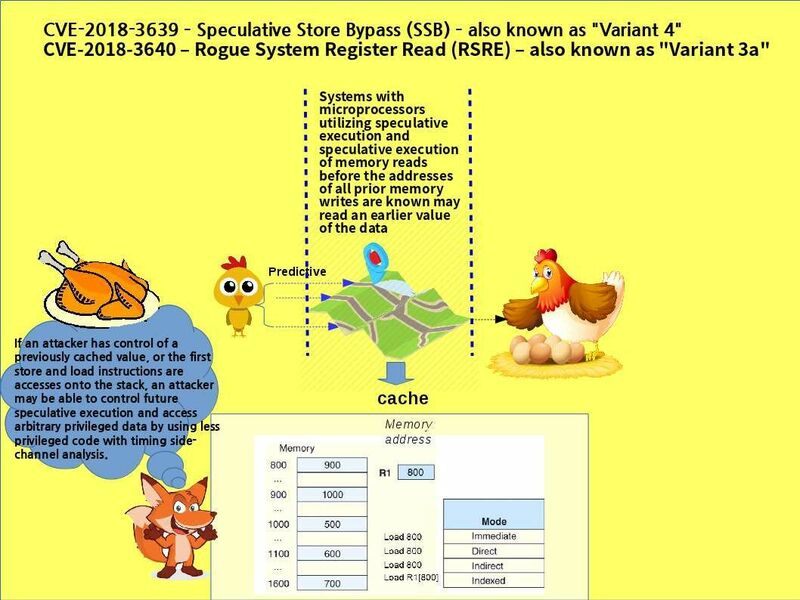 Hints: What is XXE attack? 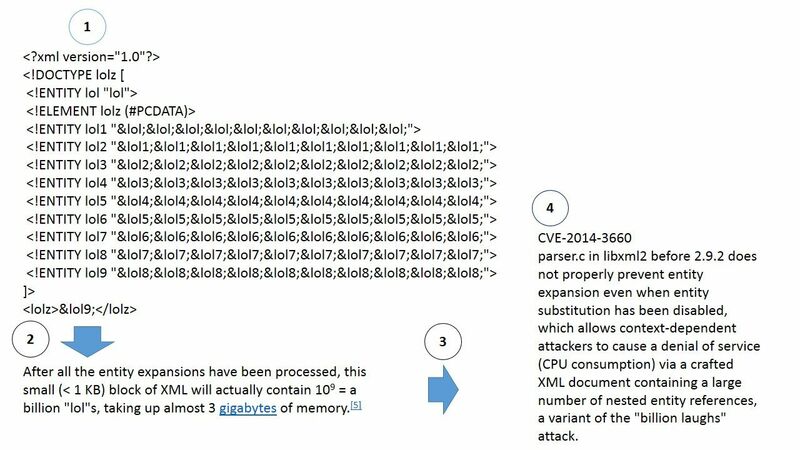 Below picture shown traditional XXE attack for reference.This XXE attack so called billion laughs attack . Remark: By disabling DTDs, application developers are also able to strengthen the parser’s ability to protect itself against DoS (denial of service) attacks. Upon inspection, the OPC UA requires the following library files. The above library file (ssleay32.dll) belongs to OpenSSL 1.0.2j. It was configured and built with the options no-idea, no-mdc2, no-ntt, and no-rc5 to avoid patent issues. If bugs are found in the version of OpenSSL. You may compile and use your own version because this is a open source program. Reminder: Kaspersky Labs identified 17 zero-day vulnerabilities in OPC Foundation open source code. For more details about the report, please refer below url for reference. Botnet from earlier phase relies on workstations engage the attack convert to smartphones in last few years. Most likely the security enhancement in workstations and smartphones improved. The threat actors found the new victims today.It is a low-end wireless router. The devices which could be affected by new malware (vpnfilter). Below is the checklist for reference. My speculation on how Cisco (Talos) found the malware (VPNFilter malware). Using Big Data and data mining methods to predict attacks before they happen,the Cisco Umbrella Security Research team built such detection framework. However a hints given to me that they are all vulnerable for Shell Metacharacters attack. What is Shell Metacharacters attack? A metacharacter is a character that has a special meaning (instead of a literal meaning) to a computer program, such as a shell interpreter or a regular expression engine. … Otherwise, the parenthesis, plus-sign, and asterisk will have a special meaning. In the sense that those routers containes design weakness may let the router misbehave. For instance it accept arbitrary command execution through shell metacharacters in a URL. There are design weakness of modbus protocol. Basically modbus is an application layer protocol. 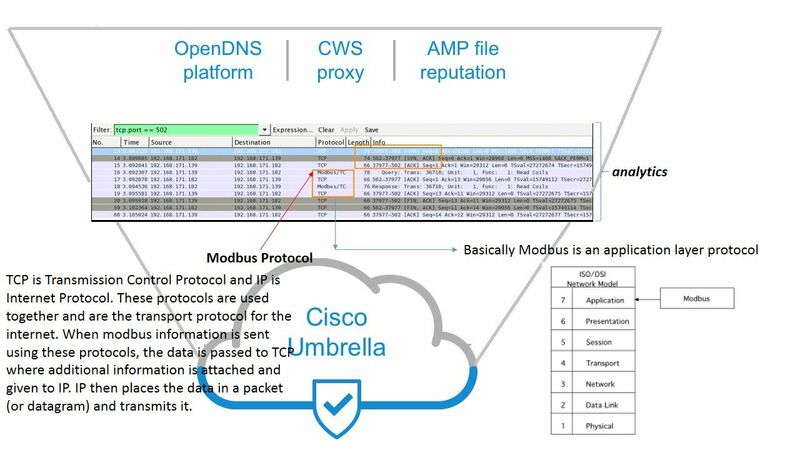 However the MODBUS/TCP protocol implementation contains multiple vulnerabilities that could allow an attacker to perform reconnaissance activity or issue arbitrary commands. All MODBUS messages are transmitted in clear text across the transmission media. There are no integrity checks built into the MODBUS application protocol. As a result, it depends on lower layer protocols to preserve integrity. There is no authentication at any level of the MODBUS protocol. One possible exception is some undocumented programming commands. MODBUS/TCP consists of short-lived transactions where the master initiates a request to the slave that results in a single action. When combined with the lack of authentication and poor TCP initial sequence number (ISN) generation in many embedded devices, it becomes possible for attackers to inject commands with no knowledge of the existing session. Regarding to item no.1 design weakness. The SCADA system vendor will be recommend client make use of VPN tunnel to encrypted the traffic for remediation. Whereby hacker created working directory (/var/run/vpnfilterw) in compromised router to record the modbus traffic. And therefore user credential will be found by hacker. Cisco statiscally calculate there are estimated 500,000 devices has been compromised. A hints highlights by security expert that attacker creates a configuration file in /var/run/torrc and a working directory in /var/run/tord. A evasion of detection mechanism technique since it is a encrypted communication. The command and control server is able to drive the compromised router to start the cyber attack to nuclear power facilities. Refer to above four items of modbus vulnerbilities. 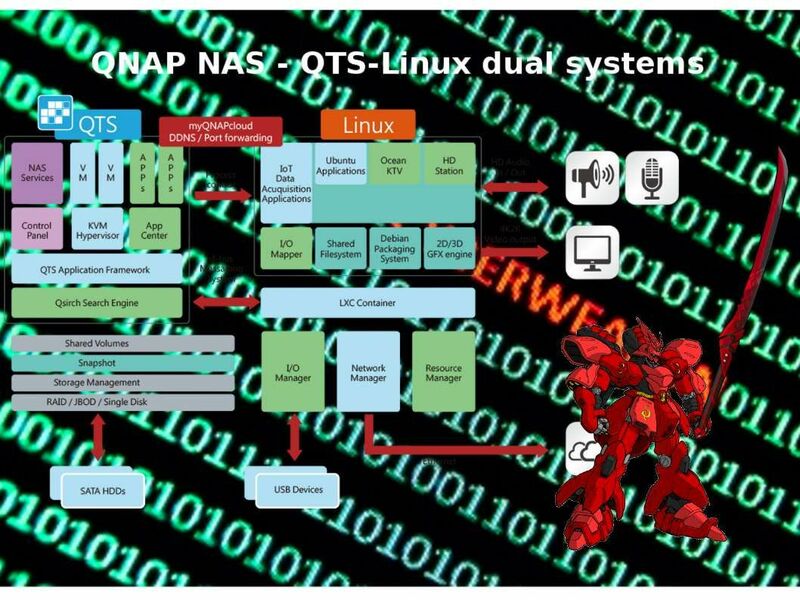 The QNAP network-attached storage (NAS) will be transform become a attack tool. The kernel of NAS contains linux command is able to use it. For instance execute a nping command craft packet to bother the nuclear facility. Meanwhile the hacker is able to install python or php library with script to execute the attack (Reference to above item number 4). In the meantime, we are waiting for more information provided by Cisco.Perhaps attackers engage the attack. No news is good news, agree, Right? Anything updating will keep you posted. FBI take control of APT28’s. They are the suspect threat actor of this attack. The US Federal Bureau of Investigation (FBI) has obtained court orders and has taken control of the command and control servers of a massive botnet of over 500,000 devices, known as the VPNFilter botnet. Headline news article for reference. CVE-2018-7505 – information on the target TFTP application has unrestricted file uploads to the web application without authorization, which may allow an attacker to execute arbitrary code. CVE-2018-10591 – allow an attacker can create a malicious web site, steal session cookies, and access data of authenticated users. CVE-2018-10590 – exposure vulnerability through directory listing has been identified, which may allow an attacker to find important files that are not normally visible. CVE-2018-10589 – WebAccess Scada Node versions prior to 8.3.1, and WebAccess/NMS 2.0.3 and prior, a path transversal vulnerability has been identified, which may allow an attacker to execute arbitrary code. CVE-2018-7497 – several untrusted pointer dereference vulnerabilities have been identified, which may allow an attacker to execute arbitrary code. CVE-2018-8845 – a heap-based buffer overflow vulnerability has been identified, which may allow an attacker to execute arbitrary code. CVE-2018-8841- allow an attacker to delete files. an improper privilege management vulnerability may allow an authenticated user to modify files when read access should only be given to the user. CVE-2018-7501 – several SQL injection vulnerabilities have been identified, which may allow an attacker to disclose sensitive information from the host. Regarding to the subject matter, please refer to below url for reference. Technology world is a challengeing zone. The key word “rest” looks do not apply to system developer, application programmer and IT expert! I re-call the vulnerability (CVE-2018-8897) to review. It ennounced by security experts for week ago. Perhaps you have full understanding. However no harm in my view point to do the review since it is important. I have time to drill down the detail and visualize my standpoint. 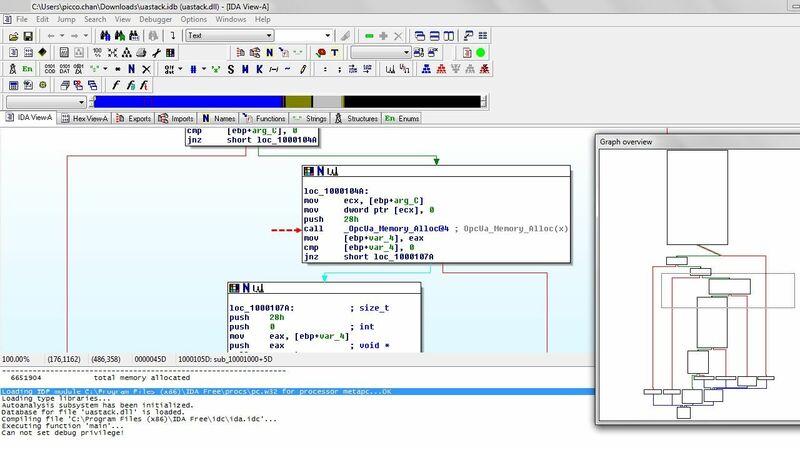 This CVE subject mainly focus mishandling of assembler command syntax by system developer since they overlook some advice by CPU vendor. In short the issue is that if the instruction following the MOV to SS or POP to SS instruction is an instruction like SYSCALL, SYSENTER, INT 3, etc. that transfers control to the operating system at CPL < 3, the debug exception is delivered after the transfer to CPL < 3 is complete. OS kernels may not expect this order of events and may therefore experience unexpected behavior when it occurs. So the focus will be go to virtual machine world. Yes, we are a cloud computing world in the moment. For more details, please refer below url for reference. Shanghai 2345 Network major business focusing Mainland China. This companyprovides Internet access platforms. It provides 2345 Website navigation that facilitates users to find their own needs of the site entrance, as well as provides weather forecasts, practical inquiries, commonly used software download, e-mail login, search engine portal, online collection, and other Internet common service; 2345 Accelerated browser, a computer software; mobile applications; and 2345 Loan King, an Internet credit platform.However there are vulnerabilties found on their Security Guard 3.7 software. Regarding to the vulnerabilities, it is better to uninstall this software. It looks strange that the official website still have ver 3.7 software available to download. Besides, it without any security alert to customer. If you visit the official website today, the latest software update issued on 20th April 2018. Nothing to do or remediation. Strange! Remark: Due to market demand and general ease of access, the efforts have been primarily focused around client software, effectively limiting kernel code coverage to a few generic syscall and IOCTL fuzzers. ISC Releases Security Advisories for BIND on May 18, 2018. This alert awaken my defense thinking. I was written few articles about the electronic war and the cyber arsenal. But forgot to contains a scenario which annoucned by ISC today (Security Advisories for BIND). 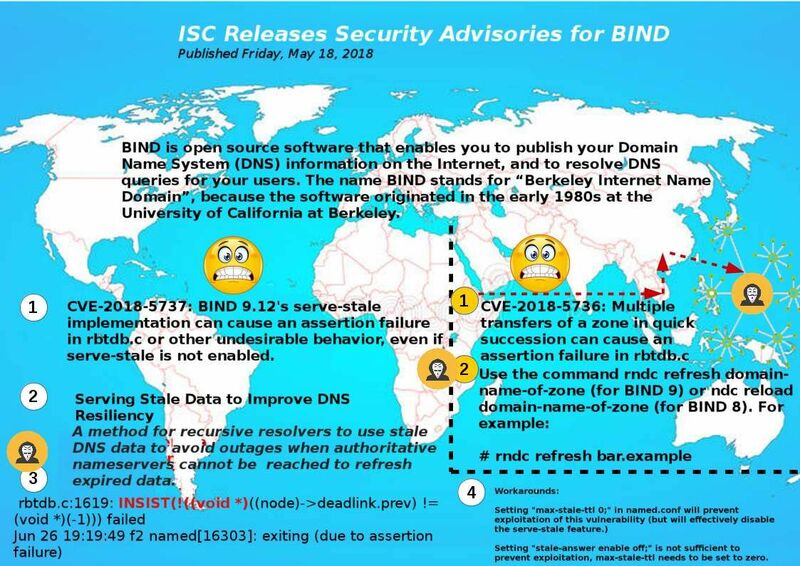 Regarding to to the subject (ISC Releases Security Advisories for BIND) indeed described a hacking scenario who focus to doing bad things to the world (distrubuted deniel of services to worldwide DNS services). It is not difficult to understand the way. The method is CVE-2018-5737 + CVE-2018-5736. Such cyber attack on phase 1 is one to many distribution (Initiating a Zone Transfer), then execute vulnerability (CVE-2018-5737) . As a result the smartphone, server and workstation all can’t work because no DNS service will be available! You can find hints in attached diagram. 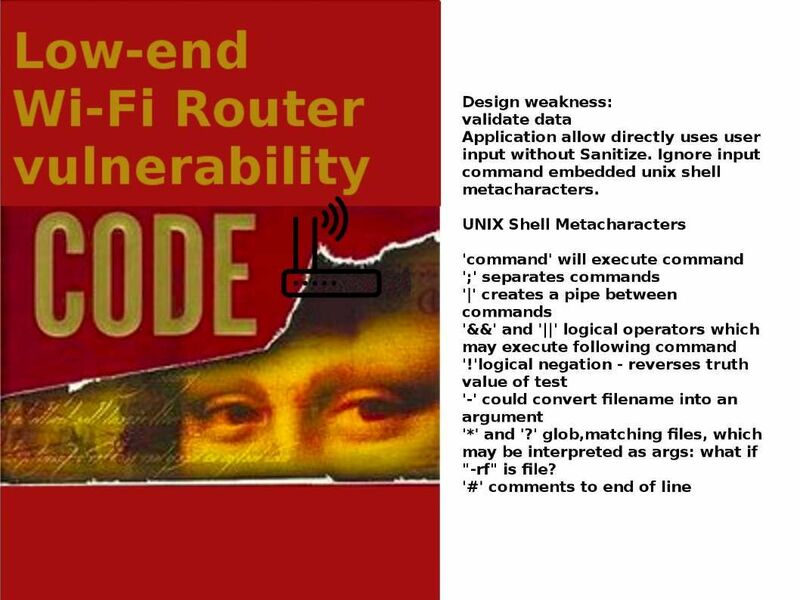 For more details about the vulnerabilities, please refer below url for references. CVE-2018-5737: BIND 9.12’s serve-stale implementation can cause an assertion failure in rbtdb.c or other undesirable behavior, even if serve-stale is not enabled.